​Gina joined our staff in October of 2011. 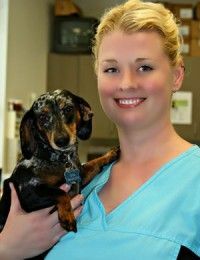 She has been working in the Veterinary field since 2007. She moved from Arizona in 2011 to escape the dry climate and to be closer to her family. In her spare time she enjoys spending time with her furry friends, collecting and growing oddball carnivorous plants, reading, baking, and watching horror movies.